Families can create a community collage in the style in Romare Bearden on Saturday, Oct. 27, at Mentor Public Library’s Main Branch. 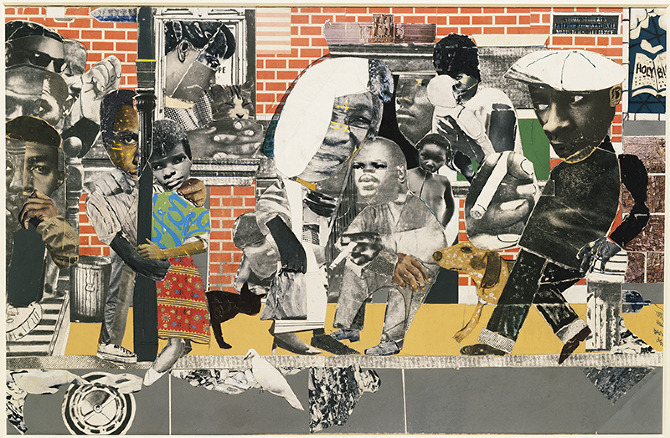 Families can make a community collage in the style of Harlem Renaissance artist Romare Bearden at 1:30 p.m. on Saturday, Oct 27, at our Main Branch. Art instructor Stephanie Royko will help lead the project. All ages are welcome to participate. We only ask that you register beforehand. You can sign up online or call us at (440) 255-8811 ext. 247. By the way, if you enjoy art, you can stream six seasons of Bob Ross’s Joy of Painting for free with Hoopla and your Mentor Public Library card. This entry was posted in Uncategorized and tagged art, Mentor Public Library, Romare Bearden. Bookmark the permalink.